Whether your budget is big or small, the cost of a home renovation can quickly get out of control! I’ve gone through two budget-friendly kitchen renovations in the past three years, so I wanted to share some tips that can help you achieve and manage a renovation that works for your home and budget. Check out our first shoestring-budget renovation we did at our old home, and then see what we did in our newer home with a bit more money. Before we get started, I wanted to talk about what a “budget renovation” means. The word “budget” isn’t synonymous with cheap. Whenever you spend money, it’s a good idea to know how much of your total income or savings is allotted for the purchase, whether it’s simply a meal out, or something big like a new stove. If you’re planning to do work on your home, I recommend starting with a dollar amount that you’re able to spend before you begin making design choices. Then you can price fixtures and materials and begin to get a grasp on what will work with your budget and what won’t. When I began my project, I created a spreadsheet and simply added everything I knew we wanted to buy. I added my flooring choice (calculated to include waste), lighting, faucets, paint, countertops, cabinet hardware, outlets and switch plate covers, tile, grout, appliances, and more! I had to make calls to get quotes for materials and labor, and even added tax to my budget sheets. After my spreadsheet was created, I could see areas that were eating up a lot of my budget, and then make adjustments by choosing less expensive materials, or deciding to cut out items altogether. When you make a budget for your project, it’s a good idea to allot for unexpected expenses. Some say to reserve 10% of your budget for flexibility, but the choice is up to you! 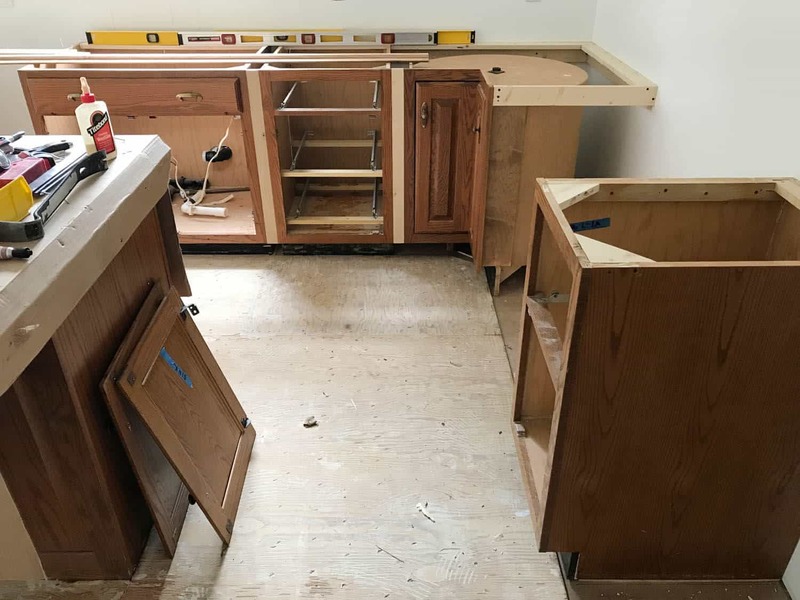 If you’d like to read more about my experiences, I wrote a blog post about planning a budget kitchen renovation when we did our first shoestring-budget kitchen makeover. It might sound simple, but paying for your project with money you already have will save you a significant amount of money you’d end up paying in interest if you take out a loan or put things on a credit card that you can’t immediately pay off. 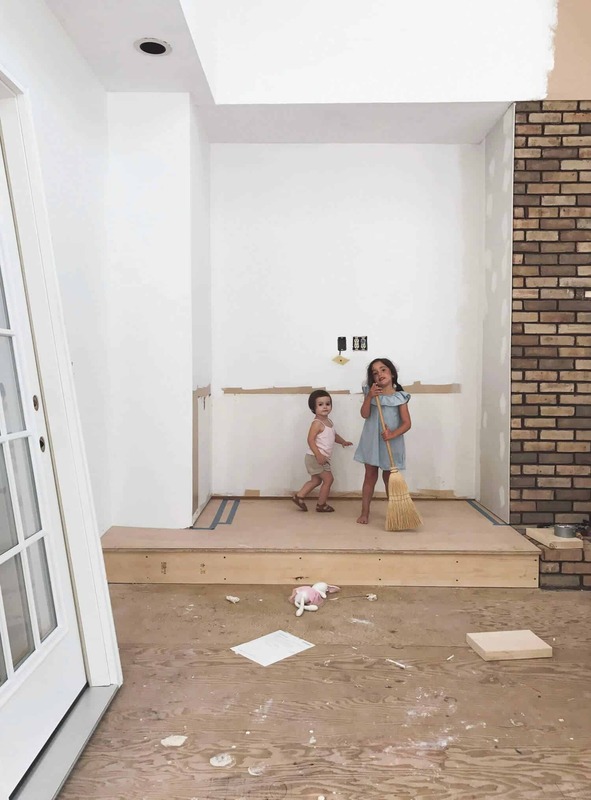 If you’re renovating in order to sell your home, it might make sense financially to take out a loan when you know there will be a return on your investment and the loan will be paid off quickly. But in general, paying in cash is the best way. If you can’t afford it now, begin thinking about ways you can trim your household budget to save money for your project. Waiting for the money to renovate isn’t always a bad thing, because time is your friend when it comes to planning a renovation! 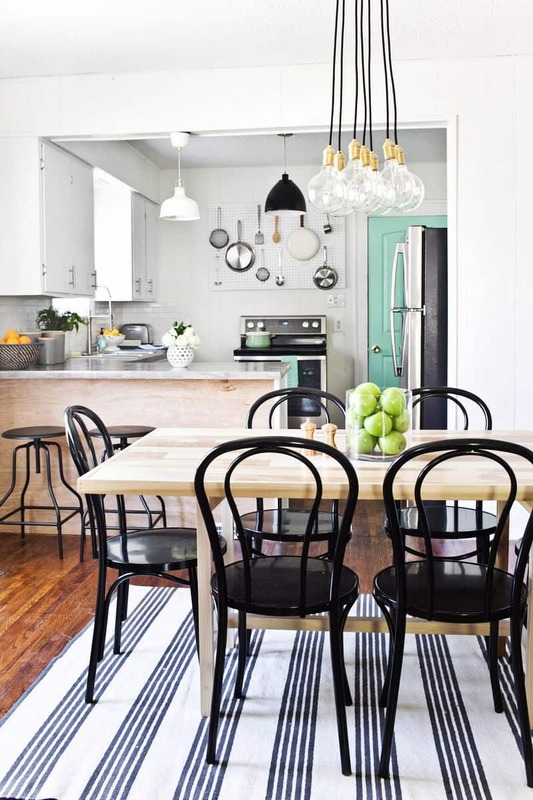 If you have the money, it can be tempting to gut and renovate your home all at once, but it can be overwhelming to make a lot of good and cohesive design decisions when you’re factoring in so many things! If you rush things, you’ll most likely regret some of the choices you make. I recommend starting with one or two rooms and finishing those before moving on to other areas. For one thing, most people find it difficult to finish a project before moving onto the next thing. Prioritize what will be the most intensive project and do it first, otherwise it may drag on for years! If you force yourself to finish one project before beginning another, you won’t have to live in a house full of unfinished rooms. Also, from a budget standpoint, beginning with only one or two rooms is smart because if you run into unexpected expenses, you can deal with them without having to halt work, take out a loan, or make huge compromises in other spaces. Planning a project is half the fun, so take your time, consider every detail, and you won’t waste time and money later when you’re unsure of your decisions. Obviously, this is one of the most effective ways to save money during a home renovation. If you’re thinking, “I’m not handy, so this tip’s not for me,” well, think again! You may not be able to put up drywall, or even feel comfortable laying tile, but there are some things you can do to prep your space before a crew comes, because remember you’re paying a crew per hour, regardless of how skilled or unskilled the task. If you can demo the space, clean up, prepare surfaces (like scraping off mastic on the floor and skim-coating walls), and paint, then you’re one step ahead. If you have moderate DIY skills, and want to take it up a notch—now’s the time! YouTube is your friend. As long as you have the availability to learn a new skill, and take your time to do it right, your determination is your biggest asset. If you don’t have the tools required, renting them from a local hardware store will still save you quite a bit of money, versus hiring someone to do the work for you. Plus, rental tool due-dates are great motivators to finish a job! If you’re planning to do a lot of work yourself, be aware that there are things you should not do yourself if you aren’t licensed, such as electrical work or moving utility lines. If you are skilled enough for a job like tearing down walls and installing load-bearing beams, be sure to get a permit. This will keep you from getting into trouble, and it will also protect future inhabitants of your home. The biggest way I saved money in both of my kitchen renovations was by reusing cabinetry and some appliances. If you need more than paint and new hardware to be happy with your kitchen cabinet doors, then be aware that you can still save a lot of money by refacing doors to change the style, or even replacing the doors but leaving the cabinet body in place. Even if you can’t reuse anything preexisting in your space, you can buy material and fixtures from salvage yards, Habitat for Humanity ReStores, and even at building material auctions. Don’t forget about buy/sell/trade websites too! Sometimes people are moving and need to sell perfectly fine appliances quickly, or you may end up finding a load of lumber leftover from someone else’s project. The hunt for salvage materials can be a lot of fun and add so much character to your project. Plus, you’re helping the planet in the process of saving money! 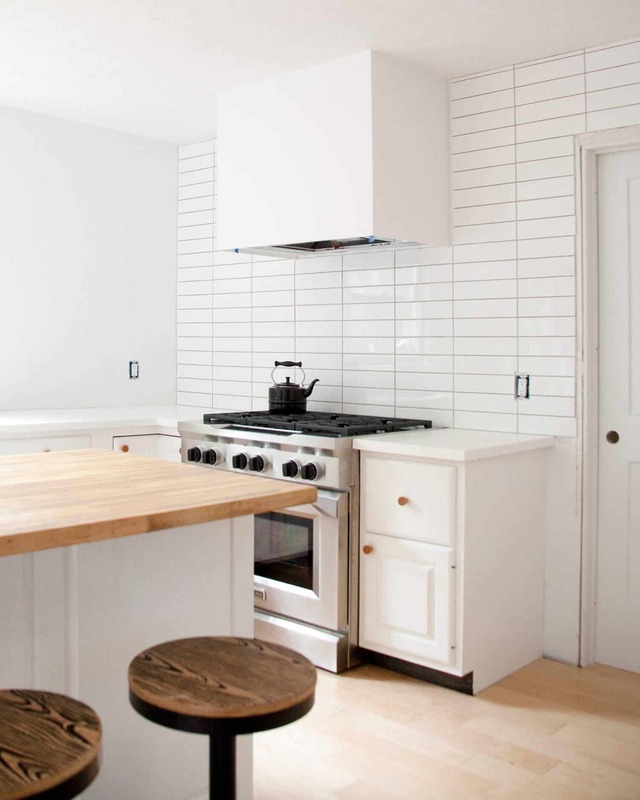 Get the most bang for your buck by spending more on statement items, such as quartz countertops or a statement stove, but reserve funds in other less impactful areas. This is a balance you’ll have to figure out yourself, since it varies so much depending on your project and style inclinations. But, in general, I like to spend more money on hardware and less on doors/cabinets. Find your own balance, but don’t make the mistake of going too fancy with an appliance only to install cheap formica countertops. The key is to find balance, not extremes. There are times of the year that are better for purchasing certain big-ticket items, such as American holidays for appliances, Black Friday for electronics and power tools, and the end of summer for outdoor furniture and lawn care items. Research the best time to make your purchase, and don’t let your impatience steer you away from getting a good deal. And don’t forget about buying scratch-and-dent appliances or floor models! I hesitated to add this to the list, because sometimes helping hurts, if you know what I mean! The same thing goes for doing it yourself. If you end up messing things up and have to hire someone to come fix it, then you’ve added expense to your project rather than saving money. But if you have electrician friends who’ve offered to help, or someone who has laid flooring in their home and has the equipment and experience, definitely take the help! But be judicious with who you allow to help, and make sure you communicate whether or not financial compensation is expected in exchange. Trading professional services is one way everybody wins in this type of scenario. Shop around quite a bit before hiring professional help with your project. Elsie has mentioned that in order to save money, she didn’t use a general contractor initially when renovating her home. This ended up causing a lot of stress because of all of the organization involved with using different skilled workers in a project. 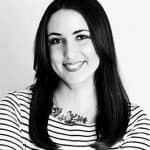 You should check out the post she wrote about renovation mistakes, especially the parts about hiring out help. 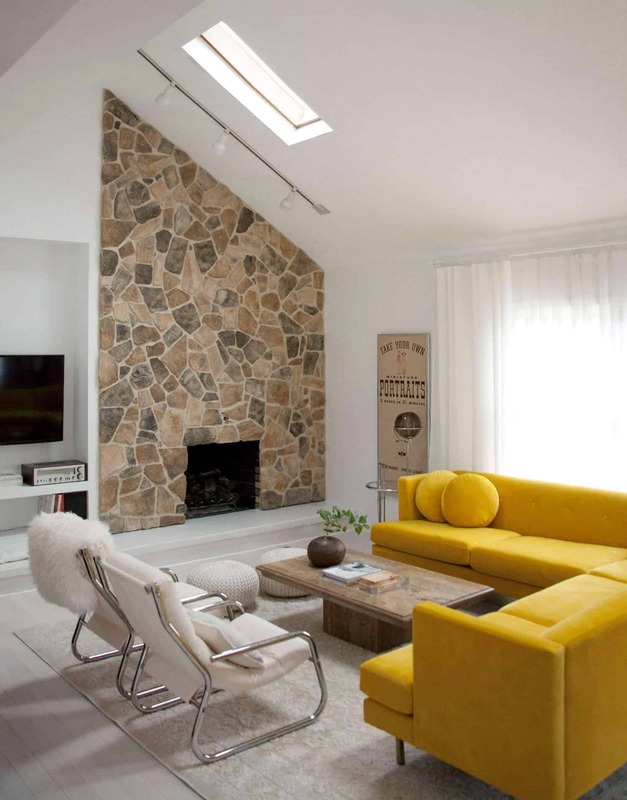 I don’t have too much experience with that aspect of home renovations, though I did hire someone to lay the stone veneer for our fireplace and also hired a crew to do some subfloor work and drywalling when I was too busy to do it myself last summer. Of course when selecting a contractor or skilled workers to help with your renovation, you’ll want to read lots of reviews or use personal recommendations from friends to choose someone you can trust. I highly caution against hiring a friend of a friend, unless you know of someone who had hired them in the past and had great things to say. I even would advise that you use caution when hiring friends and family to help, too. Someone might be a great friend but an awful contractor, and you don’t want to put a crimp in your friendship if things go south with your renovation. But on the flipside, when you have friends that you know are trustworthy and hard workers, your home renovation can be a great opportunity to give them work! One last tip about hiring skilled labor is to try to arrange your project for the off-season, which is usually after the holidays and before summer, but varies by region. Professionals are often busy with larger jobs in the summer, and many aren’t able or willing to take on smaller jobs at this time. I had trouble finding a mason in the summer, and getting an electrician to call me back was the worst! Another advantage of waiting until the off-season is that you may potentially be able to get a better price if they need the work. 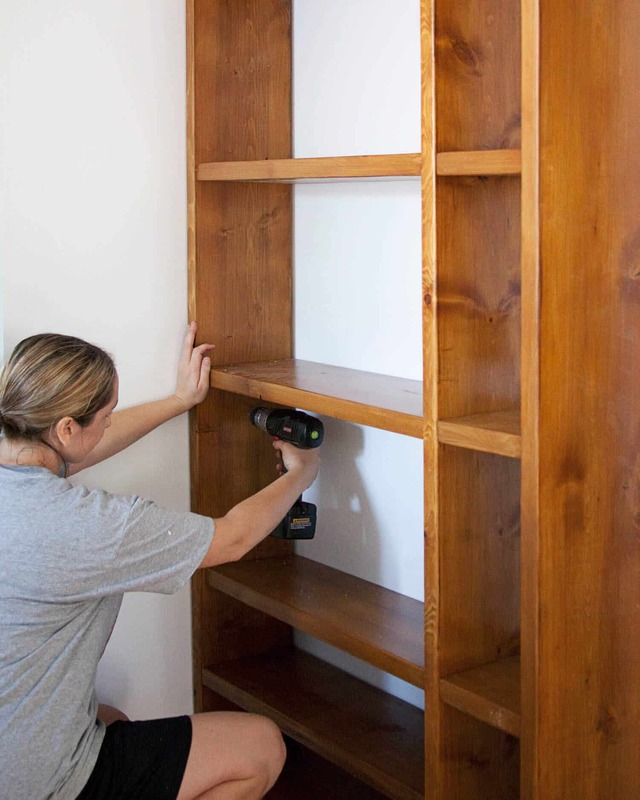 If you have a larger budget and can afford to hire a carpenter to make custom-built shelves for your library, that’s amazing, and I 100% wish I could do that. But for those of us who are trying to stretch our dollars, there’s IKEA! I’ve used IKEA pieces as the base for my projects many times, from my cabinet workspace solution to my kiddos’ toy storage, and soon in the study at my new house. Of course, finding less expensive ways to do expensive-looking things doesn’t begin and end at IKEA. All you need is a little creativity (and maybe a little help from design blogs) to come up with a less expensive way to do a project you’ve been dreaming of. I was able to create this large dynamic wall of chunky shelves for very little money by polishing up construction-grade lumber, and Laura made her closet doors look brand new with a little applied moulding. If you don’t want to shell out a lot of money to replace your laminate countertops, you could refinish them with concrete feather finish like Josh did in the Habitat House. And if you like shiplap and want to make it on the cheap, try using inexpensive lauan instead of shiplap siding! You’re really only limited by your creativity or your internet connection! One of the most expensive changes you can make in renovations is moving the big guys. I’m talking about sinks, bathtubs, stoves, walls, and windows. Sometimes removing a wall means needing to install expensive load-bearing beams, but other times opening up a wall might be easier than relocating a gas line and ventilation for a stove. Not only do you need to pay for the materials to support the move (plumbing, conduits, wiring, beams, new countertops, cabinets, etc. ), but you usually will need to hire a professional to do the work. 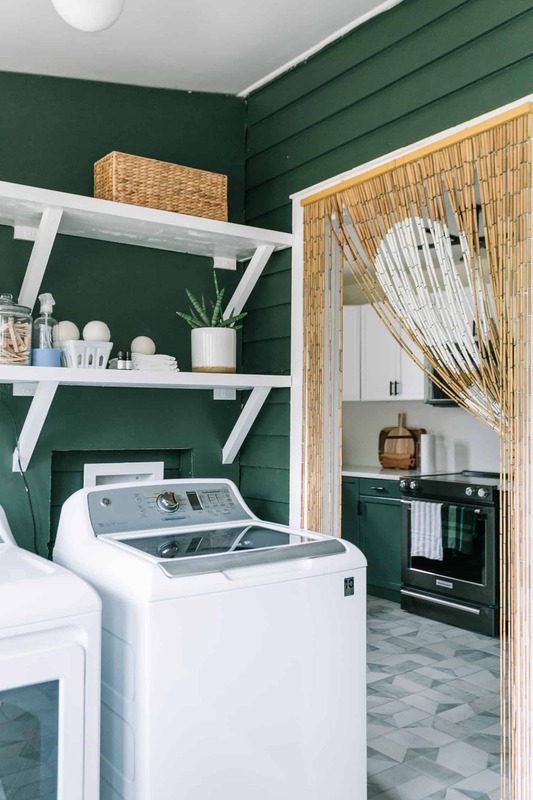 Unless the functionality of your space is really suffering, it’s not always worth the cost involved with making these big-time changes to your home’s footprint. This might not save you money up front, but it certainly will in the long run! If you know you’ll be happy with patterned tiles covering most of your open-concept kitchen, then feel free to take that plunge. But removing tile, repairing walls, and replacing tile can be a big project, so if you’re not sure you can live with something so bold and permanent, make a safer choice you’ll be happy with for years to come. 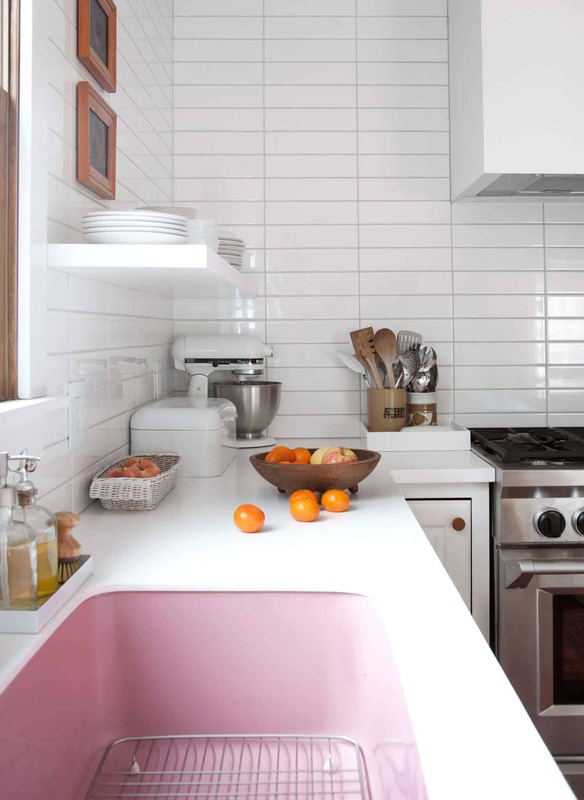 Obviously we’re seeing a lot of subway tile in kitchens these days, but to be fair, it’s a classic material that will age well, and it also provides a nice neutral backdrop for other easily changed trendy items like a candy colored stand mixer, pink painted walls, or a basket-style pendant light. The idea is not to avoid all things trendy, but to make sure those trendier items can be easily changed or replaced. Want an energy-saving appliance, but can’t shell out the money for it right away? Beware of paying for it with credit, because the cost of your interest payments will undo the money you’re saving on utilities. But if you do have the cash for an energy-saving appliance, you’ll eventually see the return on your investment after years of lower utility bills. Another area not to skimp on would be windows, doors, and insulation. Our last home had no insulation in the exterior walls, which is crazy considering Northeast Ohio’s climate! Literally the day we moved in, we drilled holes in the wall between every stud and blew in insulation with a blower we rented for the weekend. It cost us a bit up front, and patching the walls was a pain, but I know we made that money back in just one Ohio winter. Not a fan of your ceiling lights? By all means, replace them if you have room in your budget. But don’t just throw away the old fixtures. If you need the money, try selling all of your old fixtures on buy/sell/trade sites like Craigslist, OfferUp, or Facebook Marketplace. Old kitchen cabinets, appliances, doors, hardware, and lots of other materials might be of interest to someone else out there scavenging for materials, but if nobody wants your junk, you can sell metal items to scrapyards in exchange for cash. If you don’t need the money, definitely take care when removing old fixtures so you can donate them to your local Habitat for Humanity ReStore. Use rewards credit cards to pay for your budgeted purchases and pay off the card immediately with the cash you’ve saved for your renovation. We did this last summer and were able to take a free vacation with our family, which we surely needed after months of hard work on our house! Another way to earn rewards is to purchase gift cards from grocery stores that offer perks for spending money, such as savings on fuel or future grocery purchases. While you’re planning your renovation, be sure to keep in mind other sneaky things that may add to your budget. Was your home built before 1950? If so, then be aware that there is a bigger risk of things that need updating, like plumbing, electrical, or even wall material. Sometimes it’s hard to know until you begin opening up walls, so you may want to have more padding in your budget. If you’re house hunting for a fixer-upper, look out for moisture issues, foundation concerns, and bug infestation. These are the top three nightmares where renovation budgets are concerned! Have your home inspector check walls with a moisture meter, particularly around entryways were wood rot can be a concern. If you can do the inspection after a recent rain, that’s even more informative. Cracks in the foundation may be due to settling, but they may also indicate problems with the foundation which are extremely expensive to correct. When getting a home inspection, you’ll have to decide if you want to pay an additional fee for a bug inspection, but who wants to find out halfway through a renovation that you have carpenter ants or termites? Nobody! It’s worth the extra expense upfront. Make sure to consider other minimal fees involved in renovation such as building permits, or even getting permission from a homeowner’s association. You may not be allowed to make the changes you want, so be aware of your limitations before you begin. Home renovations have been some of the most exciting, but also most trying times in my life. My biggest advice is to just know yourself and what you’re cut out for, and don’t get in over your head, budget-wise. No beautiful home is worth the anxiety that comes along with consumer debt! If you have the extra money, it’s worth saving yourself the stress and hiring out the work, as long as you found someone good and trustworthy—otherwise it may equal even more stress! Sometimes homebuilding also equates to character building, and I’m talking about personal growth here, not investment growth. But the two aren’t mutually exclusive. This will be so helpful in case I’m renovating in the future, thank you for sharing your expertise and experiences! Mandi — your home turned out SO beautiful! Thanks for sharing these great tips. I just love, love, LOVE your living room — so retro and cool!!! Would love to hear more about how you added insulation by drilling holes and blowing it in! We need to do that and I can’t seem to find a good DIY tutorial out there for this newbie! Planning is key! I’m about to move house (three days ahh) so I’m currently trying to flog everything I’m not keen on taking with me! Thank you for this article. It is easy to see so many beautiful homes online and loss perspective of reality . It will take time and money to make our dreams reality. Great article Mandi! Lots of good points and suggestions. Very helpful article! I would add to #14 that sometimes it pays to keep the things you’re not using and that may save money in the long run. For example, if you replace light fixtures you don’t like, but plan on selling your home eventually, you can swap the old ones back on and bring your new light fixtures with you. That’s a good idea! As long as you switch the lights before putting the house on the market, I suppose. 🙂 I wish I could’ve brought some of the lights from our old house to the new house, but fortunately they were not expensive to replace. Love following your renovations, Mandy! I’m always so impressed with how much you’re able to do yourself. How do have so much knowledge about what you need to do, though? I don’t even really know where to begin to plan for how much I’d need of x materials, or what kind of materials needed. I’m planning a pretty huge renovation project that goes completely against your #11. We have a laundry room adjacent to a sauna (that’s not been used for about 30 years other than for storage haha) adjencent to a smallish bathroom. The plan is to tear down the sauna and then swap so that the bathroom becomes the laundry room and the sauna/laundry becomes the new, bigger bathroom (I originaly just wanted to tear down the wall between the sauna and bathroom, but it’s a load bearing wall so no can do). Where do you even begin to figure out a budget for a project like that? That’s a big project! But I can see how it would make sense to tackle it. I know how to budget for many of these things that I’ve done because of past experience, but you can price out materials and labor if you know exactly what your’e doing before you do it. If you are figuring it out as you go along, it’s trickier to budget. I also have a degree in interior design, so a lot of this stuff was part of my education, but truly I learned the most by just working on stuff. You live you learn! I would get online and see if there are forums where other people who’ve tackled similar projects can give you some insight. The internet is such a valuable tool for this kind of thing and people are usually quick to be helpful and share experience! Absolutely amazing tips. I will definitely be coming back to this again and again as we start on some small renovations this year (fingers crossed!). great tips, even a great checklist to use, thank you, I really like the idea of balancing high end and low end materials, good idea! These tips are pocket-friendly yet so cool! I am planning to renovate my living room and kitchen in a few days. I will surely implement these tips! Thanks for sharing! I used all of these techniques in our recent renovation! Especially take your time (it took 4 years), which allowed us to complete the build without a loan. These are amazing tips! I hadn’t even considered most of them when we renovated the first time, but I wish I had. Hi! Would you discourage the use of China-made quartz countertops compared to the branded ones? Great job ! Great tips! Great tips but using professional home remodeling contractors can also help you save money rather than DIY especially if it a large project. I definitely agree with you! There should be no rush when it comes to redecorating and buying new furniture. I always wait for a sale because there is always a sale somewhere! Saves money AND I can take the time to find the piece i really love. These are great ideas. Nice article! Would these ideas work for renovating commercial proeprty? Great tips to renovate your home. Thank for sharing. 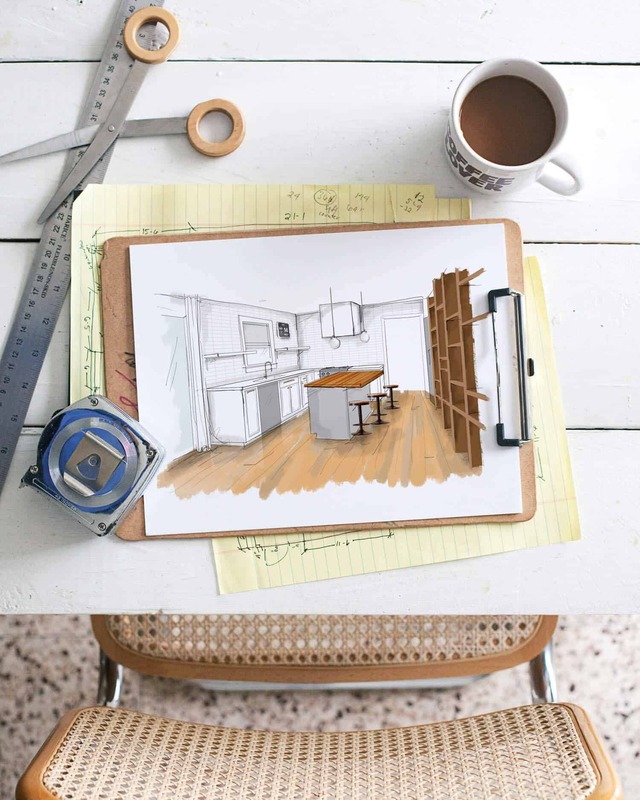 Nice article, great suggestions to adapt while renovating your home! Great article on ways to save money and a great reminder to always have about 10% of your budget set aside for the unexpected expenses. They almost always come up. It is definitely amazing to be able to save money on a home renovation. I agree with setting a realistic budget to avoid spending too much. Nice blog by the way. Thanks for sharing!